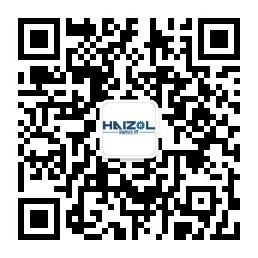 Dongguan Yuandeng Plastic Hardware Co., Ltd.
Dongguan Yuandeng Plastic And Hardware Products Co., Ltd. It is a set design, research and development, production hardware plastic products, and provide high quality OEM or ODM production services hardware plastic products factory. Our Factory was founded in 2008, there are 10 years of experiences in hardware plastic design research and development, we are a team own design of the independent research, development and production in our factory, there are 8 engineers, 10 design production master, and 8 salesman, as well as a large number of personnel with experienced production and management. Within 3,000 square kilometers, we have more than 40 sets of CNC milling machine, CNC lathe, cold settler, plastic injection machine, die-casting machine, stamping machine, etc. Also, we have several testing instruments, such as tension machine, three - dimensional detector, second - element detector, salt mist tester, hardness machine, etc. We are strict with the TS16946 management system requirements ourselves, always improving of production and management. To confirm customers with high quality products and services. Over the years, our products have entered various fields, where there are hardware and plastic products, and there are products made by our factory. Electronic industry, clothing industry, furniture industry, lamps and lanterns, automobile industry, machinery industry, all of these domain. they are need our products. Our customers are located all over the world, in America, Europe, Asia, Africa, and all of our customers.